What does it mean that Jesus is the Firstborn? Why is Jesus Called the Firstborn? When we think about what it means to be born, we usually think of being given life and a mortal body from a father and a mother. Therefore, when asking “What does it mean to say that Christ is the Firstborn?” another question usually comes up: “How can Christ be the firstborn if he lived in what is sometimes called the meridian of time?” In order to answer these questions, we must rethink our definition what it means to be born. The scriptures speak of receiving a rebirth when one receives a remission of sins. But since Christ never sinned, this cannot be the case. “They that be whole need not a physician, but they that are sick” (Matthew 9:12). At any rate, when people are born, they are thought of as receiving life. Hence, to be reborn is to receive life anew. One way in which Jesus is the firstborn is because he “is risen from the dead, and become the firstfruits of them that slept” (1 Corinthians 15:20). By calling Christ the Firstborn we make reference to his act of conquering death in order that “all be made alive” (1 Corinthians 15:22). One could say then, that it is therefore an act of worship–of awed reverence–to remember that Jesus Christ is the Firstborn, the first to be resurrected and receive his physical body anew. But there is more than one way in which Jesus Christ is the firstborn. 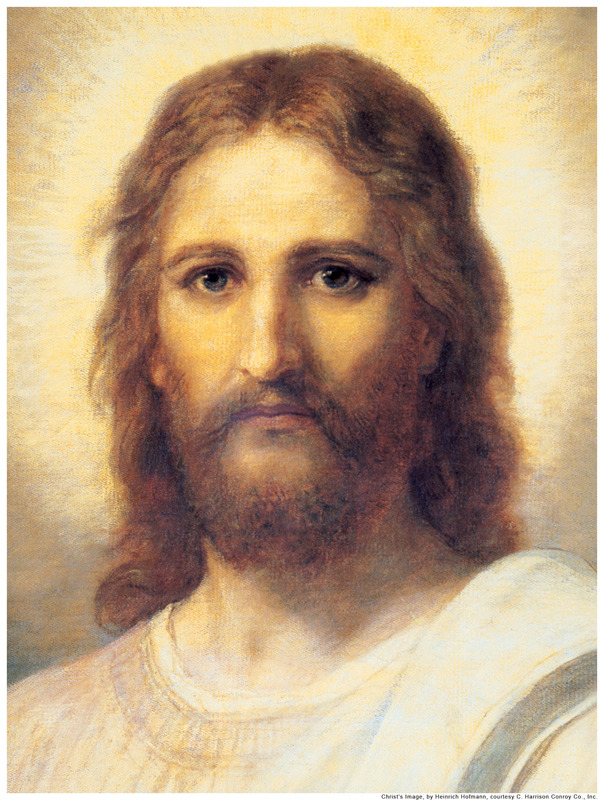 In 1909, the governing body of The Church of Jesus Christ of Latter-day Saints (Mormon Church) issued a statement that explains this idea further: “The Father of Jesus is our Father also. Jesus himself taught this truth, when He instructed His disciples how to pray: ‘Our Father which art in heaven,’ etc. Jesus, however, is the firstborn among all the sons of God–the first begotten in the spirit, and the only begotten in the flesh. He is our elder brother, and we, like Him are in the image of God.” (The First Presidency [Joseph F. Smith, John R. Winder, Anthon H. Lund], “The Origin of Man,” Improvement Era, November 1909, 75-81). This seems to make sense, but now I want to ask, is it wrong to consider a God to be our Elder Brother? Does it not seem at least a little strange to say that we are related—at least spiritually—to the greatest being that ever walked the earth? But strange or not, “. . . [a]mong the spirit children of Elohim [Heavenly Father] the firstborn was and is Jehovah or Jesus Christ to whom all others are juniors” (First Presidency and Council of the Twelve, in Improvement Era, August 1916, 940-1). So, Christ is the firstborn of all of God’s spirit children and while he can be considered in a sense to be our Elder Brother, yet at the same time the God of all the earth still desires to call us His friends (Cf. John 15:15). “In intelligence and performance, He [Jesus Christ] far surpasses the individual and the composite capacities and achievements of all who have lived, live now, and will yet live! (See Abraham 3:19). He rejoices in our genuine goodness and achievement, but any assessment of where we stand in relation to Him tells us that we do not stand at all! We kneel!” (Neal A. Maxwell, in Conference Report, Oct. 1981, 9). So can we call Jesus Christ our Elder Brother? Well, in the sense of having the same Eternal Father in Heaven—the Father of our spirit bodies—the answer is yes. But I personally would not feel comfortable doing it. I would much rather stick to the term Firstborn, because it encompasses so much more of what He is—”the firstborn of the spirit children of our Heavenly Father, the Only Begotten of the Father in the flesh, and the first to rise from the dead in the resurrection, ‘that in all things he might have the preeminence’ (Colossians 1:13-18)” (Bible Dictionary: Firstborn). In a meeting recently, I reminded those at the meeting that we are God’s children, and our Lord & Saviour, Jesus Christ is the Son of God, therefore, Jesus is our Brother, that this give more confidence in approaching Him. Please can you throw more light on this aspect. Thank you for your expository. Thanks for visiting our sites. Yes, Jesus Christ is our Elder Brother. We all lived as spirit children of God in a life before this one, where we grew to a certain level of maturity. Jesus Christ was among us, and we were with the Father, Heavenly Father, at the time as well. Jesus offered to come to this life as our Savior and Redeemer, to pay the price He knew would need to be paid for our sins and infirmities, to satisfy justice. So, He filled His mission here. You are right, belief in a personal Savior, who is literally our elder spiritual Brother, fills us with closeness and love for Him and enables us to feel it more. Please visit mormon beliefs dot org for more information, or LDS dot net for group discussion, or visit us again here for additional posts on the faith.